So there you go. What are you most excited for? I can tell you the dwarven outpost book seems really cool. But anyone who knows me will tell you that I’m a sucker for dwarfs. Regarding Hammerfast, there is actually a surprising amount of information about the Points of Light setting distributed amongst the various 4e books and DDI. The dm side of me is looking forward to the Underdaek And the Astral Sea books. The player in me, who loves playing dwarf fighters, is looking forward to the Martial Power 2 and PHB3. Thats a nice list, I hadnt looked at next years releases yet. 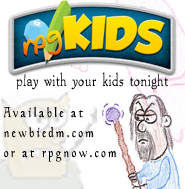 Im excited about the PHB3, as I imagine most people are. Im intrigued to see what sort of things they bring in with the XPower2 series of books, I don’t think we need to see more builds for the martial classes, we need more martial classes (especially a controller). The Underdark Sourcebook may be interesting, hopefully filled with a bunch of new monsters and possibly a mini-adventure like the FRCG & ECG had. Im unimpressed about the PHB Races Handbook, I think 32 pages is a little flimsy, maybe they would be better doing something similar to the races of… series from 3.x. Hammerfast sounds like it may be quite good; a drag and drop outpost is always welcome. For me, creating interesting towns tends to be more difficult than creating interesting dungeons. The Plane Above: Secrets of the Astral Sea will hopefully be a nice book, but I still need to pick up some older books before I grab that one (Open Grave and Draconomicon 1). Tiles and Mini’s are always interesting to me. The PH3 should be an interesting book if they continue to expand and not just re-hash old stuff (in a new wrapper). I really dont care at all about the Dragonborn book. The Harkenwold, Hammerfast and Underdark books all sound good. I am not much on a planes guy. They’ve already done an ‘Ecology of the Dragonborn’ which makes me wonder if this Races book is in fact that Dragon article, fleshed out with a few more options and then rereleased? I can say I am most excited about the fluff stuff. The dwarf city really interests me. I feel there is enough crunch in the game already to last a while, and the powers book are useless to me considering we have DDI use in our campaign and those powers are put in the character builder. The underdark book is interesting to me as well, although I wonder if the underdark will be any different from the previous books detailing it. The PHB3 should be pretty amazing. Was a big fan of psions. I can’t wait to see how the TK psion plays. Thanks for this. My anticipatory opinions are more or less similar to yours.